Bleiberg Entertainment announced recently that Maniac director Franck Khalfoun was moving on to a new project called i-Lived with shooting happening in Los Angeles this month. 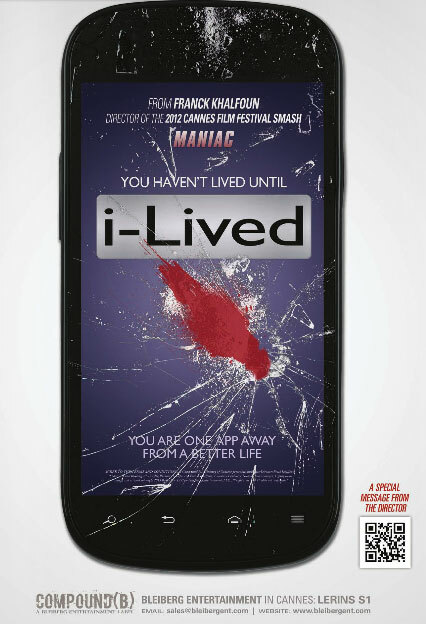 Written and directed by Franck Khalfoun, i-Lived is a techno-thriller, where a young online app reviewers latest assignment mysteriously improves his life, but also starts to tear him apart, bringing his existence into a downward spiral. Inside, you can check out a piece of sales art for the film along with a special video message from Khalfoun. i-Lived from Bleiberg Entertainment on Vimeo.